นักเดินทาง 1 คน คิดว่ารีวิวนี้มีประโยชน์ แล้วท่านล่ะ? Location was very accessible to portliner and train stations to Osaka. Bus stop was also very near which makes me easier to luge my luggae to and fro from the station to hotel in order to go to KIX. There is a 24 hour family mart right below the hotel which is super accessible as well. Room was clean and neat. Fast check in and out! Staff was not able to speak very good English but still very willing to help out with my needs. Good facilities. There is an ice machine, microwave and also laundry stations in the building. Overall, very good service and hotel! Will definitely stay there again when I visit Kobe. We spent a night at the hotel before heading back to KIX on the ferry from Kobe airport. The Portliner station was nearby. Food choices isn't abundant in the proximity but more than satisfactory. The Family Mart right downstairs with a smoking section is a big plus point. The staff of the hotel were very kind to provide us with drip coffee, facial mask, and even helped accommodate our 2 large Rilakkuma plushies in a paperbag. It sure was a memorable stay to conclude our vacation in Japan. We got the last room at the highest floor next to Exit. Light outside our room was spoiled, so we requested for a change of room due to “uncomfortableness”, but to no avail. The main air conditioning is not working so we have to turn on the purifier to blow cold air however me and my friend still perspired. Toilet light is too dimmed. Would prefer a good mix of warm and cold dishes for breakfast. Mainly cold deli served. Not quite as close to Sannomiya Station as I expected but close enough especially if you can find the D3 exit from the underground route ending in the same street as the hotel. Virtually no amenities in the hotel but better room and bathroom size than most hotels. Breakfast was rather more Japanese than Western style. Very nice burger restaurant as you exit the station on level 2 heading towards hotel. 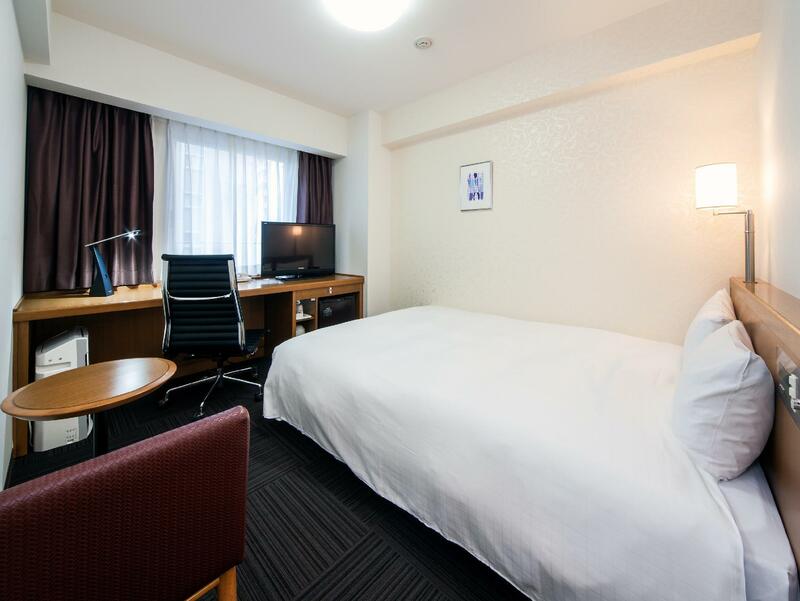 The hotel is 5mins fast walk to the Sannomiya station, bus terminal and airport limo bus stop. Rooms are of a reasonable size and the reception desk is helpful. Will definitely stay again if we were to visit Kobe. Checked in quite late and asked the front desk where I could get a good yakiniku that uses Kobe beef. Was recommended a really good restaurant and managed to make a reservation for 8.40 pm. Kinda late but I wasn't that hungry so it was ok. Walked and shopped at Sogo nearby the station before venturing further north. Without google map it would be quite difficult to find esp since its on 7th floor. However, I managed to locate it on foot and had a really satisfactory and enjoyable meal. If u have lots of heavy luggages try somewhere nearer the station. While this is not far (3 blocks or so) it is too near to take a cab. From the restaurant I took a cab coz it was a cold and late night but the cab driver was v unhappy coz it's too near according to him. Nonetheless my first time meeting a rude Japanese having been in this country more than 20+ times at the least! Perhaps he waited there in the queue for a long time and was hoping to drive someone a lot further. I wouldn't know. Anyway, other than this one time all the Japanese have been polite and welcoming! We spent 2 nights here, and it was wonderful. 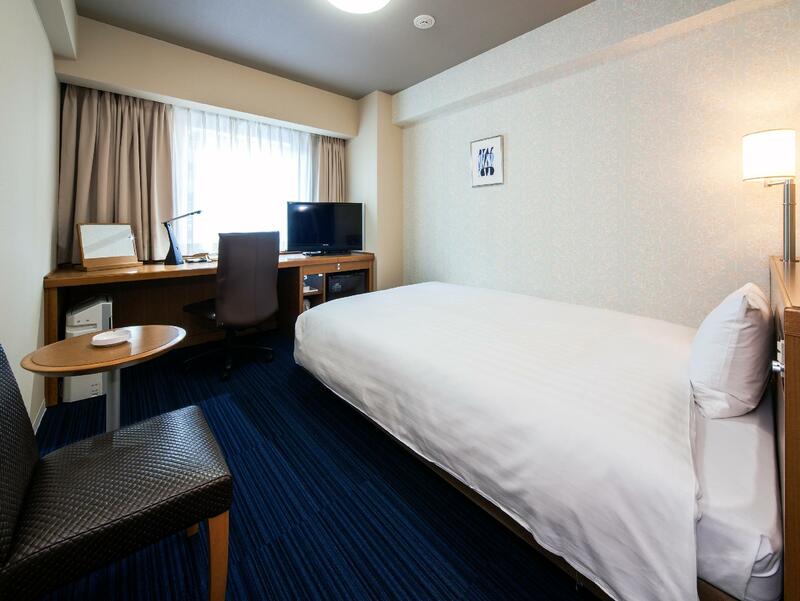 The best thing is the location; it's just walking distance from Sogo, Loft, the Sannomiya Shopping Street, and many eateries / izakayas. Service was friendly and excellent; even though I made a mistake of booking a double room for a single occupant, they graciously allowed the two of us to stay at no extra charge! They're also giving out delicious free drip coffee, which is a bonus in my book. I'd come back again, anytime. 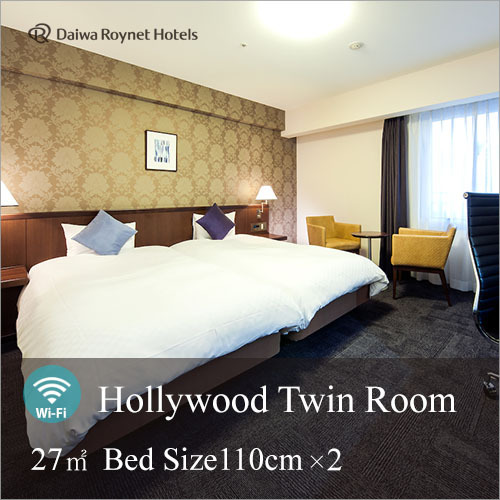 We enjoyed our stay in Daiwa Ronet Hotel. 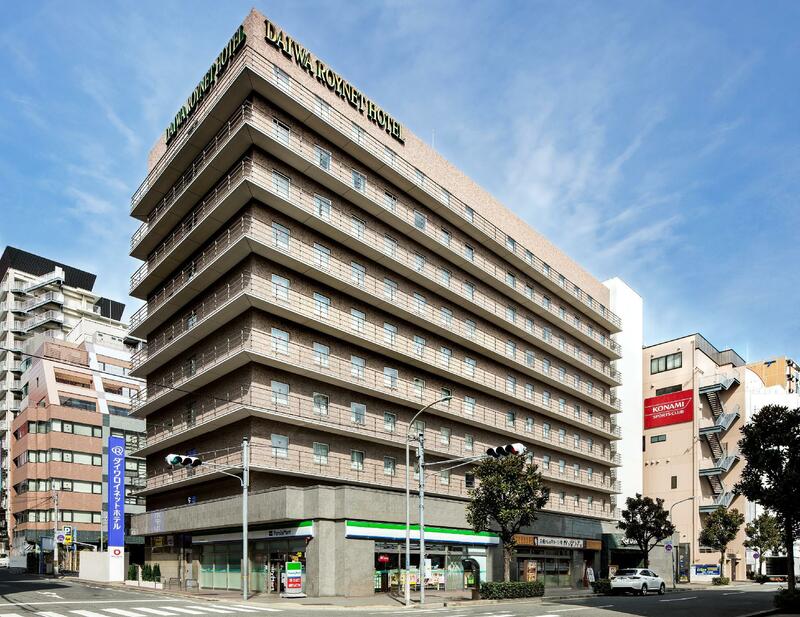 The location was convenient, just 10 minutes walk to the nearby Sannomiya station. The staff at the reception was very helpful. She gave us detailed information of how to take the train to arisiyama. We will stay there again for our future trip in Kobe. สถานีรถไฟใต้ดิน Sannomiya - ระยะ 0.29 กม.